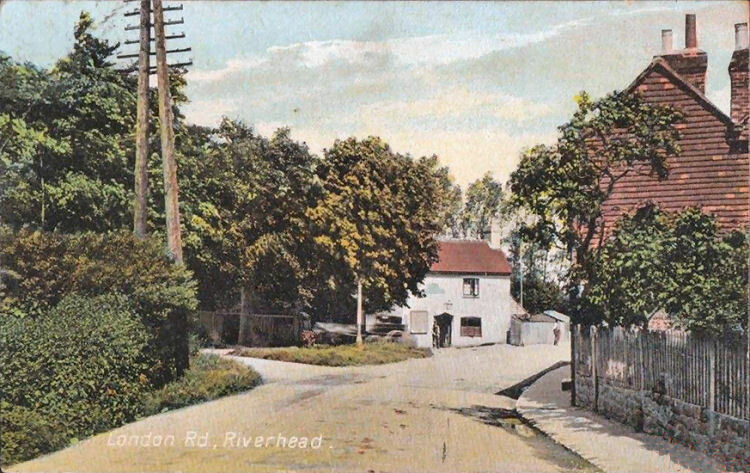 Above photo showing an at present, unknown pub in Riverhead. Date also unknown. From an email received 11 March 2014. The above pub looks like the "Bullfinch."